Windows 10 Chromebook killers to dominate market? How? How Windows 10 Chromebook Killers Will Dominate The Affordable Notebook Market? In addition to providing a plethora number of users with a ‘unified interface’ OS, Microsoft also plans on striking the affordable notebook market with its Windows 10 Chromebook killers. The market is currently being dominated with machines running Google’s Chrome OS, and in order to bring its plan to fruition, Microsoft has partnered with Taiwanese firm Acer, which ironically makes affordable Chromebooks as well. The question now remains, will Microsoft be able to make its mark in the affordable notebook market with its Windows 10 Chromebook killers? Taking on Chromebooks will be Acer’s Cloudbooks, which were teased by Microsoft at this week’s Worldwide Partner Conference. Two models are going to be released imminently; an 11 inch machine and a 14 inch one. The smaller screen sized notebook will be carrying a price tag of $169. Even though there are no pricing details available on the 14 inch model, both of them are going to launch in August running the updated Windows 10 platform. While there are no hardware specification details provided, the $169 price tag should not get you thrilled that these machines will be incorporated with ‘top of the line’ configurations. Instead, these Windows 10 Chromebook killers are more of less going to sport the same specs as its ‘soon to be’ Chromebook rivals. We reported earlier that MediaTek will be aiming to bring down Chromebook prices to $100 by incorporating its MT8000 series of SoCs in them. While they will come nowhere close to the performance that desktop and laptop processors are able to deliver, Cortex-A72 present in these chipsets will be no slouch when it comes to performance. 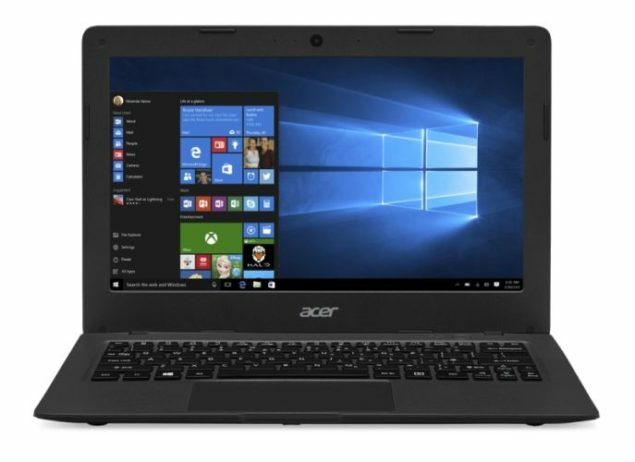 If this happens, then Acer Cloudbooks will be completely cut-off from the price/performance battle and the only thing going for them will be their operating system and specifications. However, Microsoft will still be at an advantage that consumers will pay a little extra for the familiarity and dominance of the Windows platform and its desktop applications (which will also be including the company’s Office suite). The other drawback of owning a Chromebook is that despite the fact that they provided users with a large amount of cloud storage, some models only provided it for a limited time basis and had little amounts on-board flash memory. Upcoming Windows 10 Chromebook killers could easily create a large market for it if they feature mechanical hard drives. We will have to see how this plays along. For now, the idea of having an affordable Windows 10 notebook sounds like a great one, particularly for the masses living in a world that is dominated by smartphones and tablets. Microsoft is also prepping its Surface Pro 4, which is going to be running Intel’s Skylake processor lineup. Unfortunately, the slate is going to be targeted to high-end users, who can actually spend that much money on a machine. Do you guys think that Microsoft will able to create a market for itself in the affordable notebook category with its Windows 10 Chromebook killers? Do let us know your thoughts.